As the year comes to an end, we must admit the great success for the gambling industry in the United States and the first achievement that comes to mind is, no doubt, the Supreme Court ruling that struck down the 1992 federal ban on sports betting in May. Pennsylvania has managed to reap the benefits of the new legal environment in a particularly outstanding manner and now, it prepares for a busy 2019 when VGTs, online gambling, and sports betting will be finally taking off. 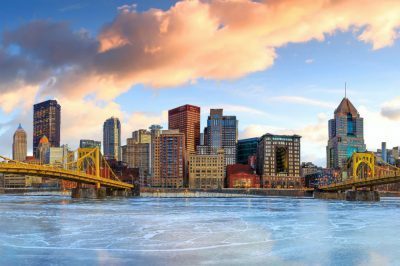 Over the past 12 months, the State of Pennsylvania has introduced multiple changes to the gaming legislation that effectively led to significant gambling expansion. It all started with the gaming reform package passed at the end of 2017, which sanctioned satellite casinos, Internet gambling, and video gambling terminals (VGTs). As the state focused on online gambling and sports betting, VGTs were paid no attention for months but it seems, they are finally coming. At the beginning of 2019, the gaming machines will be launched at truck stops across the state. A total of 23 venues have received conditional approval by the Pennsylvania Gaming Control Board and will be able to offer up to five games. They need to meet certain conditions, however – the truck stops have to be located on at least three acres of land and include a minimum of 20 parking spots. In addition, the facility needs to sell 50,000 gallons of diesel fuels or more a month. The dedicated gaming areas will need to be secured with video or live surveillance, as well. Currently, 62 facilities have applied for licenses from the Pennsylvania Gaming Control Board and in case all of them gain approval, there could be a little over 300 VGTs on the territory of the state. But this is just a small part of the gambling expansion legislators had in mind – poker and other casino games, as well as betting on sports are now legal in Pennsylvania. Earlier this year, Pennsylvania authorized online casino games, slots and poker and operators who want to offer them need to pay a license fee of $4 million for each of the three products. 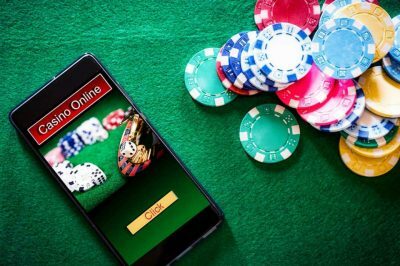 Alternatively, they may opt for the license package which costs $10 million and allows them to provide slots, casino games, and poker on the Internet. Several casinos have applied for such licenses and sometime in 2019, they will be launching their online offerings. One of them is Hollywood Casino at Penn National Race Course in Grantville. It has partnered up with IGT for its online games, which will be available by the spring. Harrah’s Philadelphia is also expected to join in after it received approval from Board and signed with 888 and Scientific Games for its interactive gaming platform. Sands Bethlehem has applied for interactive licenses for casino games, poker, and slots but so far, it has not revealed any details about a launch date or its gaming software provider. Several operators will probably move forward with their online casino and poker products earlier than the rest. Parx Casino will be launching its online gaming early next year with content provided by Kambi. SugarHouse Casino is also expected to be ready with its playSugarHouse platform at the start of 2019 and not long after that, the IGT-powered online gaming product of Vally Forge Casino would probably be live and operational. Another casino that may launch online poker, slots and casino games early in 2019 is Mount Airy Casino, which gained conditional approval for all three licenses. So far, six operators have received sports betting licenses from the Pennsylvania Gaming Control Board. The license fee, however, is quite significant even for the largest venues – it is $10 million. 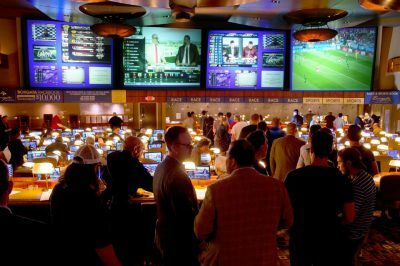 The first legal sports betting operation kicked off on November 15 at Hollywood Penn National Casino but surprisingly, the sportsbook opened with no fanfares or even an official ceremony. The operator said that it tested the William Hill US-powered system for two days, while the actual opening was on November 17. In December, two more sportsbooks followed – the SugarHouse Casino sportsbook in Philadelphia and Rivers Casino sportsbook in Pittsburgh. On that same day, Parx Casino announced that its sports betting operation would be available in January. Initially, the casino was expected to be one of the first venues that would accept bets on sporting events in the state but apparently, its plans were delayed for some reason. The market may become a little crowded at the beginning of 2019, however, as several other operators are now working on their sports betting venues. One of them is Harrah’s, whose owner Caesars Entertainment is already operating sportsbooks in Nevada, Mississippi, and New Jersey. Valley Forge Casino is one of the latest venues that were approved for sports betting in the state and now it plans to open its sportsbook in early 2019. It is in partnership with FanDuel for its sports betting operation, which is expected to launch live and online at the same time.